CALL (310) 882-5039 or (562) 547-3255 to hire the best wedding officiant for San Diego weddings. Chris Robinson is a specialized notary who can issue you a marriage license in San Diego and officiate your wedding ceremony. 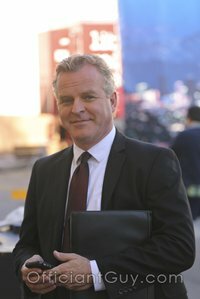 So, if you are getting married in San Diego, give him a call. He is available for any kind of San Diego wedding. And he’s a nice guy. You’ll love him. 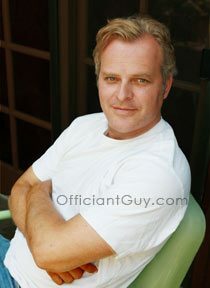 Have Officiant Guy be your wedding officiant and issue you a California confidential marriage license. He’ll make it easy and simple for you from a providing you the wedding license to providing possible wedding vows to a heartfelt ceremony. A confidential marriage license is the best kind of wedding license because it is not accessible by anybody unless the bride and groom have approved of the access or by a judge. Plus, a big bonus is that there is no waiting in line at a crowded County Clerk’s office during business hours. 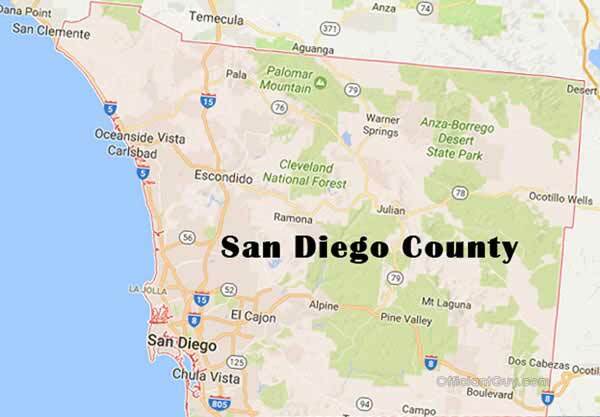 If you are getting married somewhere in San Diego County call the best marriage officiant in Southern California at (310) 882-5039 or (562) 547-3255 or fill out the contact form. Chris Robinson is an San Diego County minister for a wedding. He has been an officiant for wedding ceremonies and issuing CA confidential marriage licenses for over twenty years. Chris can be your celebrant for any kind of wedding ceremony from a simple wedding service to a large wedding service with possible additions from arras ceremonies (13 gold coins ceremonies) to family unity candle ceremonies. Whatever you wish.